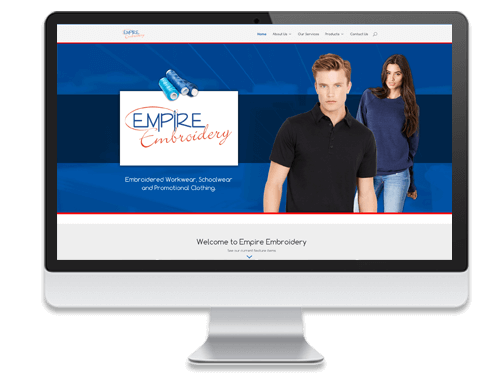 Empire Embroidery are proud to annouce the launch of our new mobile friendly responsive website. If you need embroidered workwear, schoolwear, or promotional clothing we’ve made it easier to find what you are looking for. We supply a huge range of garments which can be personalised including businesswear, hospitality cothing, fleeces, hoodies, polo shirts,sweat shirts, shirts, t-shirts, Hi-Viz, sportswear. Use our simple order form to order what you need, and if you have any questions, give us a call or send us a message.